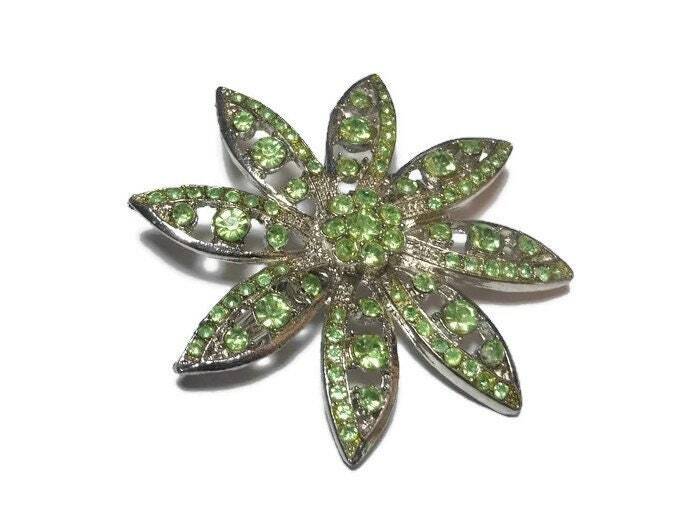 Statement brooch apple green rhinestone daisy in silver tone. 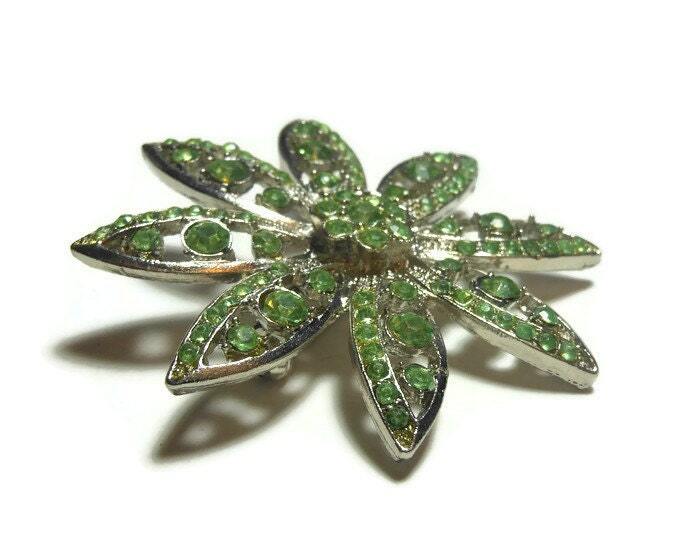 Love green? Here is the perfect accessory for you. 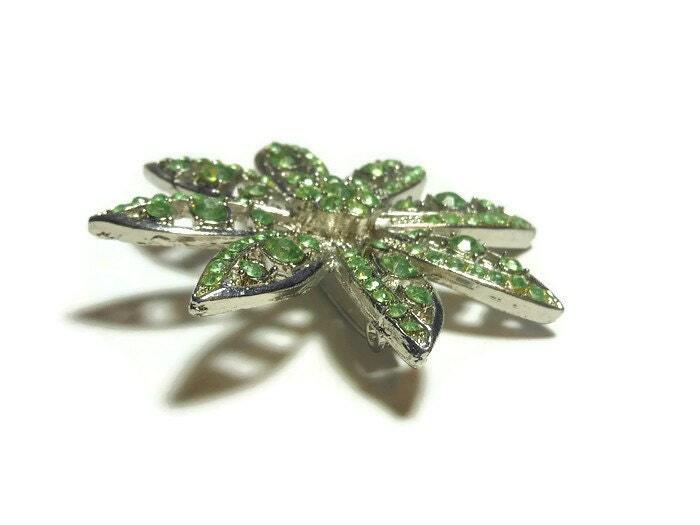 At a generous 2 1/8" (5.4 cm) in circumference this will look great on any outfit, scarf, hat or purse! 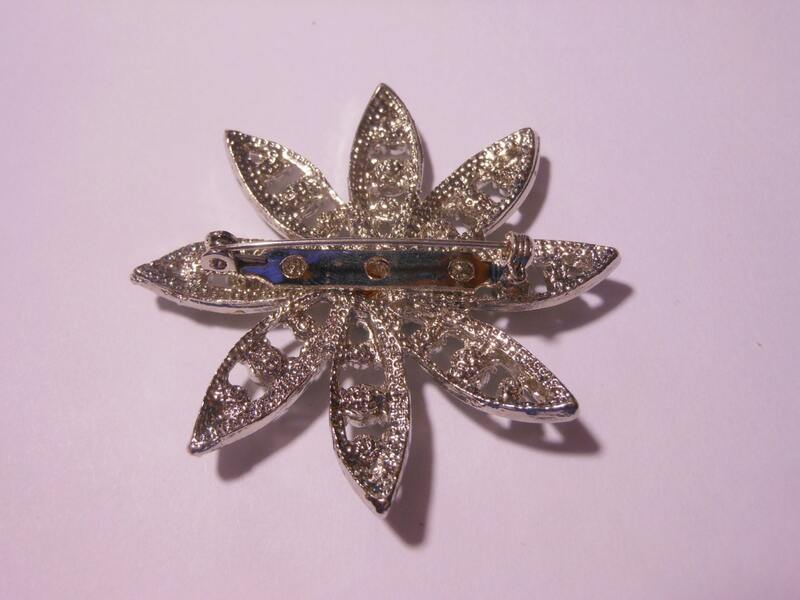 This would also be lovely as a Wedding cake brooch, wedding dress sash or part of a wedding brooch bouquet! 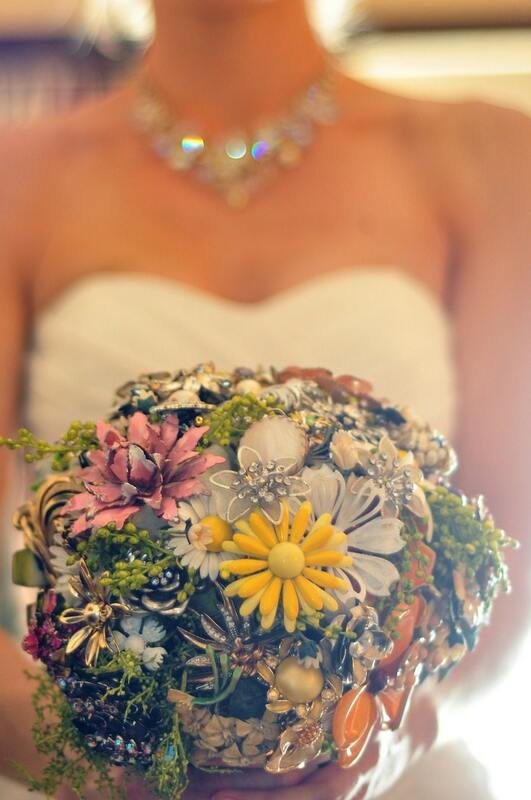 See photo for example of brooch bouquet.